This matress sleeps like a dream. Perfect mixture of firmness & softness. Have you ever woken up naturally, feeling totally rested, as if your body got exactly what it needed from your night's rest? Get more nights like that with this luxurious gel memory foam mattress which includes two accompanying pillows. The ventilated gel memory foam design helps keep your body cool all night long, so you experience deeper, more restorative sleep and toss and turn less. A plush top adds to the mattress' luxurious, inviting feel, and comes with two pillows to enhance your comfort. I buy pretty much everything online but groceries, but I have never written a review so know that first. I also bought my mattress at full price if you care about things like that. My mattress arrived looking like it had been in a pretty good beatdown by the UPS driver, who probably liked us OK until now. I snatched what was left of the box off and rolled it to the front door. Too easy. I started to just hang it in the dojo as a heavy bag, but that was squelched by the war dept. So I drug it on in the house and let it rest up until the following day when I could build it a frame. The foundation of anything is crucial, so I didn't want to skimp out on that. So up on the foundation cut the wrapper, flop... it's upside down, great right? Flip it over seems ready for duty out the wrap to us. Now, the end users of this thing are myself and my wife. I weigh 150. She's 120. I can sleep almost anywhere, and have, she has what I call, a very narrow comfort range, and not just in bedding. We went to the brand store and layed around on their offerings. The softer ones she would hop off of with a "Oh..... H E double L NO." So my happy as says OK great she wants a firm one. I'll figure this out on the internet and save a shirt ton of money. I got this, right! But wait I'm 53 and the War Dept. Is too. So there are hot flashes and synthetic disk at L5/S1 to consider. So my pucker factor was up there while waiting on this thing. Because well, War Dept. So she hops up on it, literally, because I made the frame a little tall, and exclaims "OH Yeah"!!! Success! Nice. We barely make a dent in this thing, the best way for me to describe it would be like progressive rate springs on a sports car. The first of what I'll call layer of support is soft, kinda squishy, like marshmallows, maybe a couple inches, then firms up. We don't collapse the edge when we sit on it, and we don't get all hot and sweaty sleeping on it. It dont stink, my wife would know and she would bring out the wax melts, candles, sprays, apple cider vinegar, essential oil vaporizer, and I'm serious. I can't say anything bad about this mattress. It pleased the War Dept. and that don't get said very often, so there ya' go, I hope this helps some one make up their mind but in the end, my opinion don't matter, you roll the dice and pay the price. 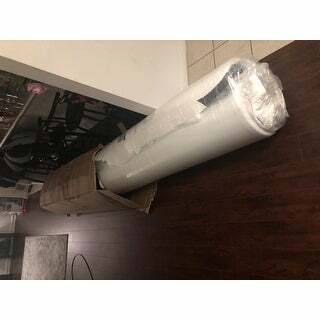 Nice mattress, very firm, almost too firm we are struggle with what type of topper to add as it is already 14 inches and we have a 6 inch base. Overall good quality it’s all in what you want in a mattress. Husband loves it, I think it’s a bit on the firm side. Love this mattress! No smell, shipped fast, and it's huge! 14 inches is alot of inches and it's the most comfortable thing I have ever bought and I've purchased mattresses before that were twice as much and half as thick. Well worth the money spent. I like Cool Gel Matteresses, they are the best!!! I sleep well!!! I have had it for about three years now, with NO sink holes or pot holes or dip issues!!! Great mattress. I 5 in total ranging from 6 inches to 14 inches. Great price!!! 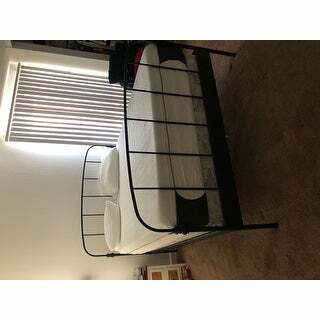 I purchased 2 Twin Size PostureLoft 14 inch Gel Memory Foam Mattresses to accommodated my King Size bed frame. Both mattresses were opened and allowed to reach its maximum height. Comparative, I noticed that there was a very slight size difference between the two mattresses, but both provided a comfortable night sleep. During summer nights, the gel foam does a wonderful job helping to keep the body from “feeling hot” allowing for a restful and uninterrupted sleep. The price of this mattress is much cheaper and easily comparable to more expensive mattresses with the same or similar features. I wouldn’t hesitate to purchase this mattress again, if the need ever arise for me to do so. This is the first gel memory foam mattress I ever purchased. I loved it so much that I am replacing the other bedroom mattresses with a memory foam mattress. I have never felt so comfortable sleeping on top of it. Not only is it firm, but soft. I choose this particular one, because of the height. 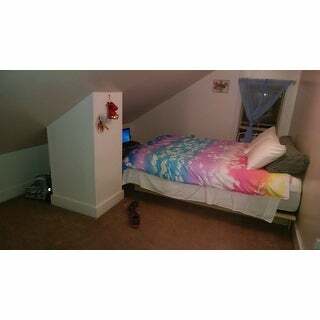 I wanted my bed to feel tall so I bought the 14 inch. I highly recommend this mattress. I was nervous buying a mattress online, but am glad I picked this one. Ordered on the 16th and received it on the 21st. My husband was able to get it up the stairs by himself and lay it out. Mattress was few inches thick to start but within an hour or two it was full 14 inches. No chemical smell at all. Ordered firm but it's a little softer than I thought it would be. Slept great, no back or leg pains that we usually woke up with. Overall great mattress! AMAZING! I LOVE THIS MATTRESS! I purchased for my daughter's bed. I researched and read reviews for days before deciding on this one. she prefers medium to firm as opposed to plush. the mattress arrived in a rather smallish box - 3ft x 3ft......weighing about 70 lbs. I got it in the house, unwrapped (wrapped impressively) and somehow got it to her room. I used scissors (carefully) to remove the plastic wrap. this thing was flat as a pancake. there was not a hint of odor or outgassing. by the time I had it unwrapped, it had expanded to its full 14 inches -- literally minutes. I slept on it last night -- I am ordering a king size for my husband and I today. I was not disappointed. I prefer firm to plush and this mattress does it. I’ve had this mattress now for over a month and this is Seriously the best purchase I’ve ever made on overstock. I decided to buy this mattress because this seems to be the only mattress on Overstock that comes with gel pillows; seriously that’s why I bought it. And let me tell you, I don’t regret that decision! When I received it the box was a little beat up and I was nervous because I saw reviews of people recieving dirty mattresses. But my mattress came out perfect and it wasn’t damaged at all. It expanded to 14 inches within the hour of taking it out of the plastic. Keep in mind, it’s super heavy. I had to have two guy friends help me out. I’ve had neck and back problems for forever. And after sleeping on this mattress for the past month and the pillows it comes with, my neck and back have not bothered me at all or very little if any! The pillows are seriously life savers! Such a good added bonus. The mattress is medium to soft, so if you like a firm mattress I’m not sure if this would be for you. But I love this mattress for the support it provides. I cannot say enough good things about it! The price is great too! Especially for a 14inch memory gel mattress and pillows! Buy. This. Mattress. I don't write reviews. I almost didn't buy this mattress because of the lack of reviews, so I feel it is my duty here. This was an outstanding purchase. The mattress is firm AND plush: Sooo comfy and soft with lots of support. This product has changed -- I do not recommend it. We purchased two of these mattresses in August 2016 for our vacation house and they are so comfortable. Soft but not too soft. Recently, we needed a new mattress at our primary home and purchased this mattress again because of how satisfied we were with our previous purchase. However, it is not the same mattress that was being sold under the same name and SKU number as it was less than a year ago. It is a much lower quality mattress that feels completely different. It is much softer than the two that were purchased less than a year earlier and the sidewalls collapse if you lay too close to a side or sit on the edge of the bed. We are very disappointed in this new mattress and it will need to be replaced very soon. We feel scammed by this company for changing the product and not changing the SKU. I was so excited to order a memory foam mattress but this definitely wasn't what I expected. Some of the reviews said the mattress was still very hard even though it was labeled as plush. I found it comfortable if I was the only one in it however when it was both my husband and I, it didn't support us individually, we kind of sank in together in the middle. Neither of us are heavy so that was disappointing. I'm sure it's a great mattress for someone but definitely not for us. My take away from this purchas is that I HIGHLY recommend going to a mattress store to try the beds your interested in on Overstock prior to purchasing. In the end I ended up ordering another mattress; a Beautyrest Recharge wich is a memory foam hybrid that has coils for extra support. Returning a memory foam mattress due to it coming in a small box is not possible but Overstock was really awesome to work with and did their best to accommodate me as a customer. I was in need of a memory foam mattress and was on a budget....the cheapest I could get from the local furniture store was $500 but I also needed a good platform so that price didn't do at all. I wanted to get the best bang for my buck so I started to do some investigating. I came across this mattress. The other ones i was looking at were 2-4" thinner so I was intrigued. I was a little hesitant about buying a mattress unseen but I decided to take a chance. I bought this mattress when it was $350 last month. Absolutely the best decision I ever made. The pillows that come with it are nice, it expanded super quickly, it did smell a little funny for a few days but I knew that was expected. Looks great on my platform. This mattress is firm and soft. You sink into it just enough. It's absolutely wonderful I recommend everyone sleep on this mattress. The only thing I didn't like was the sides of the mattress are a little weak, like when you sit on the side it sinks in a bunch but still for the price you really can't beat it. 14" of luxurious memory foam and the mattress looks and feels like the big guys but for waaaay cheaper. Highly recommend. The two pairs of sheets I alternate between fit well on this mattress too. My cat and bf love it too. Thank you Overstock. This bed comes in a long box and it's rolled up, once you open the plastic be ready it inflates really fast. This mattress is very very comfortable, the cooling gel really does what it says. I love that feature as I suffer from over heating all the time and this bed helps me to stay at a comfy temperature while I sleep. The memory foam feels amazing, it really hugs your body and molds to every curve. It makes me feel like I'm sleeping on a cloud that is cool to the touch. I know a lot of us are iffy when it comes to ordering off line before trying it out. But this mattress is worth the money we spent on it, if your looking for a comfy, cooling , great nights sleep this is the bed for you. This is a good mattress. It was a bit difficult to get into the bedroom. But I managed to get on the adjustable base..once I got on, I removed the outer plastic it unrolled. Then I removed the other plastic and it it inflated in under a few minutes. The pillows took longer than the mattress to inflate. I waited the 48 hours as required and the bed is comfortable. I did purchase a mattress protector for it. It's really a good buy as I looked online for quite awhile for something like this. This is rolled up with the underside up when it is removed from the box. I suggest flipping it before removing the last plastic casing. Difficult to flip over afterwards. I needed a guest room mattress and I'm a fan of foam mattresses but not of their typical high prices. This mattress was moderately priced for a great quality foam mattress. It is vacuumed packed and rolled up in heavy plastic in a cardboard box about the size of a water heater and weighs as much as an elephant. It's gonna take a couple of strong people to help you get this into place. Make sure you have it positioned on the bed frame because one you break the vacuum seal on the bag, it's going to expand and then require 4 people to man handle it into place. I didn't notice any kind of chemical scent. It came with 2 foam 'cooling' pillows...I don't care for foam pillows but it was a nice perk. Deep pocket queen sheets fit nicely. I found it comfortable to sleep on and it gets a 2 thumbs up from all 4 quests that have used it. This bed is advertised as Plush and its far from it. It is as hard as a rock. I wake up with pain in my shoulders and knees every morning. It has no give and kills your pressure points. I toss and turn all night and cant get a good night sleep. The company doesn't care and tells me its a comfort issue with me. I wish I could make them sleep on my bed to show them how much this bed is worthless. Keep your money as they don't care about their customers and just want your money. I bought another bed at Costco just like this one and it is amazing. It is plush and not a pile of bricks. Thank You PostureLoft for my piece of The Berlin Wall, I was wondering what they were going to do with all that concrete. We purchased this to graduate from a queen to a king,and based on ratings and sale price, took a chance that we now regret. There must be some significant variance in the manufacturing, because even after a week, this is a very stiff, firm mattress, and the gel/comfort foam experience is lacking. Other buyers report it being too soft, and there is no way they are experiencing the same product. So be warned. Also, there is no return or refund on this, so once they have your money, you are all in. The mattress arrived in a box that looked as if it had fallen off a truck- someone had applied an entire roll or more of packing tape trying to put it back together. But inside, the bag was intact, and the mattress fluffed up pretty rapidly, and it does look nice. Just not nice to actually sleep on- which IS the point. If you care about how well you sleep, and aren't seeking the ultra firm experience, it is worth whatever extra money for you to buy your mattress locally and test it out. If one person learns from our mistake, this post was worthwhile... we are already shopping for its replacement. Quality of workmanship appears good, but we expect some cushy give from a gel and memory foam layer (and no, we didn't install it upside down). Fantastic mattress! 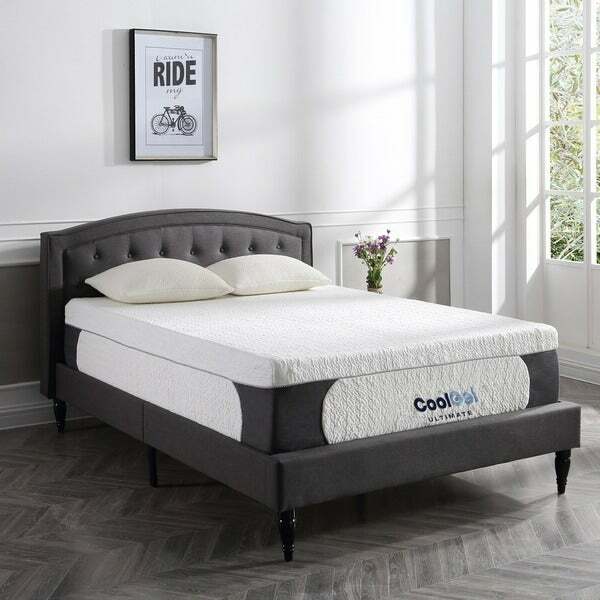 Super comfortable.. going to buy in King size too Shipping was quick and easy and Id highly recommend this if you are looking for a new mattress. This is a great bed. It is comfortable, easy, and a good price. I also like that it came with pillows. I would definitely get this bed again. Fantastic mattress. Very happy with it. Ooh la laaa is so soft easy assembly I’m going to sleep like a baby tonight yassssss finally no more springs. It feels like you sleeping on a cloud but stern enough not to feel like you are going to fall through. PERFECTION! This mattress is awesome!!. I have been completely satisfied with it since the first night I slept on it. It stays cool and supports my body no matter which position I sleep in. Would definitely recommend to my friends. This mattress is incredible! So comfortable that I find myself snoozing in my sons room where it resides anytime he’s staying over somewhere else. Great price point, and has held up wonderfully. Bed is soft as promised but it is not cool. It’s actually very hot. Bought an additional topper. Durable and comfortable. We love our mattress! "Do have a queen size? I don’t see that as an option. It’s in your description but it’s not actually listed as a size option when I try to purchase it. Is it just out of stock, and if so when will it be back in stock?" No, the queen size is not available and we don't have a restocking date. "What is the weight of the box, once it's packaged for shipping to the customer?" It weighs about 110 lbs. "How long can it stay in the box, moving and need to transport." "How long can it stay in the box, after you purchase it." "Can this mattress be used with my present foundation! The mattress is gel foam and doesn’t need to be turned I was hoping to use this with the mattress"
Yes you can use it with your current bed frame. With it without a box spring. It is tall enough. "Do I need to purchase a box spring?" This will work best with a box spring. "Can you use an adjustable base with this?" The PostureLoft 14" Gel mattress is perfect for the adjustable base.